Want it by Wednesday 24th April? Order within 3 days, 8 hours, 38 minutes and choose Special Delivery 24 Hour Delivery (Signature Required) at checkout. 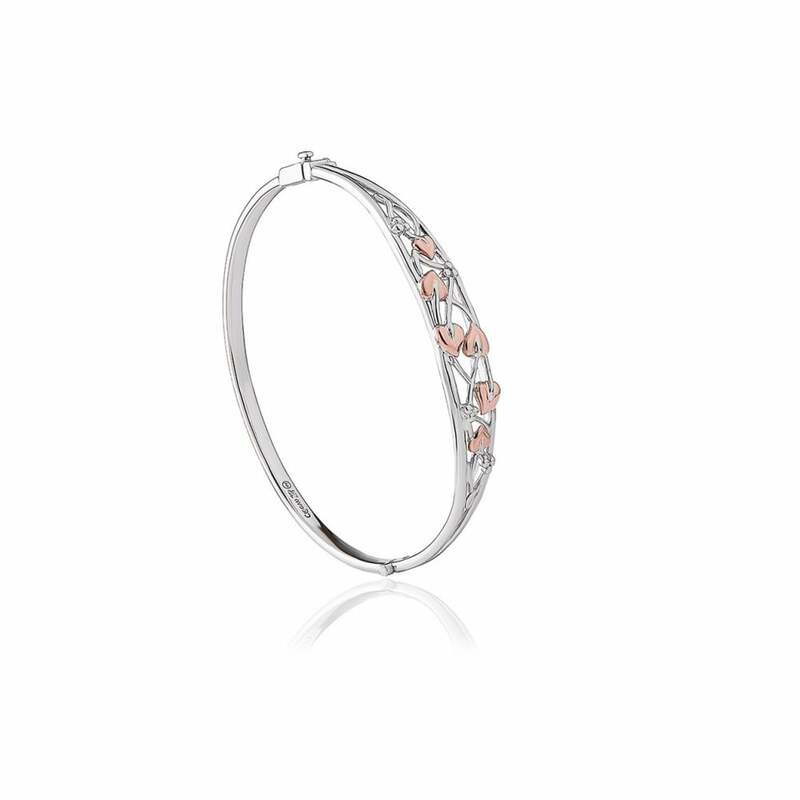 The delightful Tree of Lifeandreg; bangle is hand-crafted in sterling silver and 9ct rose gold. Featuring an intricate filigree design of wild vines, berries and leaves, these beautifully symbolise the natural beauty and continuity of life. The Tree of Lifeandreg; bangle opens on a hinge, which is secured by a side-sliding fastener. Contained within the Tree of Lifeandreg; bangle is rare Welsh gold, making it a truly unique piece of jewellery.